In a season rife with superheroes, time travel, remakes and flawed protagonists who seem to have all the answers, there’s not much that’s stood apart from the fall preview pack this cycle. 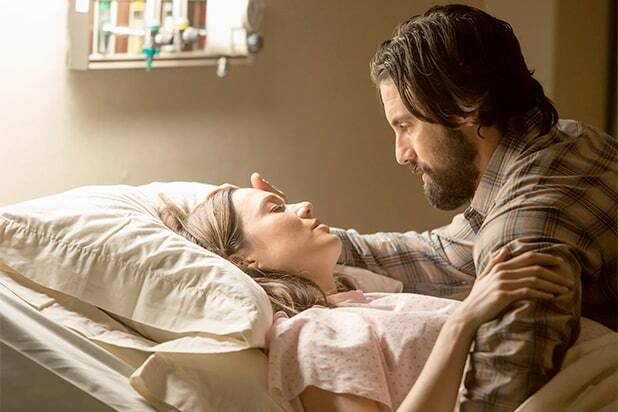 Perhaps that’s why NBC’s “This is Us”–the second fall entry from executive producer Dan Fogelman (Fox drama “Pitch” is his other)–has garnered so much attention ahead of its premiere. Or why the pilot trailer has broken through with millions of video streams, practically achieving “Star Wars” levels of shares. Unlike those aforementioned series, “This is Us” revolves around a simple premise: life. Those everyday, simple moments that push us through, guide us and make us cry. Because everyone’s experiences are so unique, these are stories told through several vantage points, with the characters only sharing one thing–a birthday. They include Jack (Milo Ventimiglia) and his very pregnant wife Rebecca (Mandy Moore); eye-candy actor Kevin (Justin Hartley) and his overweight twin-sister Kate (Chrissy Metz); and successful career- and family-man Randall (Sterling K. Brown), who decides to seek out his real father after growing up with an adoptive family. It’s a unique blend with four very distinct but compelling stories, proving there’s plenty of drama to be mined from real life. It doesn’t hurt that each of the actors is perfectly cast in his or her role, driving home the beautifully written scenes that often pose pertinent and universally relatable questions. What do you do when your life isn’t turning out the way you expected it to, and how do you deal with awful curveballs when they come your way? Do you persist and drive through, rely on family, stick to your convictions or turn the other cheek? Are you in the career you’re meant to be in, or is this it for you? And why do you keep proving you’re your own worst enemy rather than being the harbinger of your own change? These are just some of the questions raised within the first hour of “This Is Us,” setting up a series that has the potential to be heartfelt and thought-provoking week after week – provided that the creative team can keep up the ambitious pace (unfortunately only the first episode was made available to press). Essentially, if you’ve been missing a “Parenthood”-style drama from your schedule, this is the series you’re going to want to make the time to watch. Ventimiglia, who rose up the ranks thanks to standout roles in “Gilmore Girls” and “Heroes,” once again proves he has the chops to be a leading man with a few particularly heartbreaking, yet at the same time heartwarming, scenes. It’s that juxtaposition of ups and downs–those contrasting emotions–that makes this such a gripping show. Add in a few comedic beats (Hartley and Brown in particular are great at mining the lighter moments within darker storylines) and an infinitely watchable star in the relatively unknown Metz, and it’s hard not to root for these characters. Of course melodrama isn’t for everyone, and “This is Us” may prove too realistic for those seeking escapism or fantasy. There’s also the boxed format, which constricts writers to tighter storytelling as the narrative shifts from character to character. This isn’t a bad thing, per se, but it’s different than many of the large, sweeping stories currently out there. Stick with the first hour though, and there are big payoffs by the episode’s end that could convince even fence-sitters that this is a project worth tuning into. For the first few episodes, anyhow. After that, we’ll see. That’s life. “This is Us” premieres Tuesday, Sept 20 on NBC. Critics are sorting the good from the bad of the new fall TV season. Here's a ranking, using scores (based on a 100-point scale) from the aggregation site Metacritic. Yes, another superhero franchise. But critics are crazy about this comic caper. "A breakthrough for Marvel," wrote one. NBC's contemporary drama already has big fans among critics. "These characters feel real," one reviewer wrote. Reviewers are pretty high on this family sitcom. "'Speechless' is a wry, nimble comedy," according to one. Celestial reviews for this comedy about Kristin Bell finding herself in heaven. "A gem of subversive mockery," a critic wrote. "The pilot is tremendous," one reviewer raved of this political drama about Kiefer Sutherland suddenly elevated to the presidency after a terror attack. 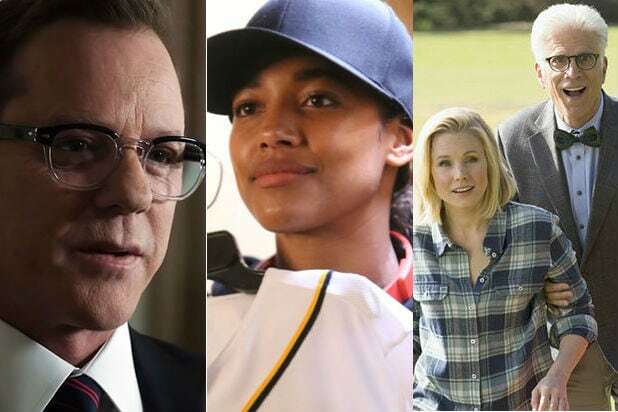 Lots of praise for star Kylie Bunbury, but some criticism of the scripting in this baseball drama. "The writers telegraph every single point," one reviewer complained. Mixed views on this remake of the horror classic, with one critic dubbing it "predictable" but still "a solid piece of entertainment." "Most of the jokes are amusing but only a couple got big laughs," one reviewer wrote of this animated/live action hybrid. Praise for former "NCIS" star Michael Weatherly in this legal procedural, but less warmth for the show itself. "Totally ridiculous, in concept and execution," one reviewer wrote. "This is a slick, watered-down" version of the movie franchise, one critic summed up, in a common sentiment. Divided opinion on this update of the 1980s action classic. One critic dubbed it "energetic" and "easy-going," another felt it was "painfully cheesy." Kevin will have to wait for love for this traditional family sitcom. "Terrible and unimaginative," blasted one critic, echoing the prevailing view. Oof. "A nearly wall-to-wall mess," is how one reviewer summed up this legal drama.